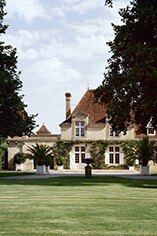 Château Rauzan-Ségla and Mouton Rothschild were considered the leading 2emé Cru Classé Bordeaux properties during the 19th century. However, while the fortunes of Mouton prospered in the 20th century, culminating in its elevation to 1er Cru status in 1973, Rauzan-Ségla`s reputation dwindled and a succession of disappointing wines were produced. In the early 80s the Rauzan-Segla was sold and the renaissance began. The eminent Professor Peynaud was appointed as a consultant and the proportion of Cabernet Sauvignon in the blend was increased, as was the proportion of new oak used in the maturation process. In 1986, a brand-new cuverie was built. A succession of eye-catching wines were produced at Rauzan-Ségla in the mid to late 80s and early 1990s. Rauzan-Segla was bought by Chanel in 1994. There are now 45 hectares of vineyards at Rauzan-Ségla and the grapes (63% Cabernet Sauvignon, 35% Merlot, 2% Cabernet Franc) are fermented in temperature-controlled, stainless steel tanks. The wine is then matured in barriques (60% new) for 18 months. This is almost as stylish as Coco Chanel herself. The ever frank John Kolasa has really worked wonders this vintage and it pushes Ch. Palmer and Ch. Margaux for top honors. Perfumed red currant fruit jumps straight out of the glass, with a darker earthier forest fruit edge following on. There is a grainy, floral lift that comes through and it really adds to the aromatic pyrotechnics here! Full, fresh and rounded with sweetness of fruit, you really feel the texture and fresh crunch in the mouth. This is considered and focused with great length. It is super impressive this year. 2017-2032. 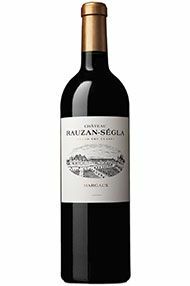 Deep ruby to purple, Rauzan-Ségla’s 2015 is a wine of great finesse. It displays tasty raspberry, cherry and forest floor aromas. This is really good Margaux. All the aromatics one would expect from this great commune are held together with wonderful precision. This is really rather stylish, elegant and accessible. It is an engaging dark-fruit based wine, with a significant volume of tannin on the finish. The length is long and fresh, with a lingering coolness. The wine displays a tension, suggesting there is more to come in the future. What a terrific effort this year, the wine is certainly very close to its more illustrious neighbours and should therefore offer tremendous value. Lots of red cherries on the nose with a touch of oak, crunchy fresh fruits on the approach, the wine is not too powerful but very elegant and fresh. There some acidity on the finish but the tannins are very ripe and gentle and the wine will not doubt integrate during the ageing. 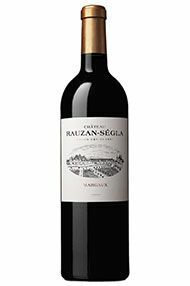 Rauzan offered its wine last year at a substantial discount which made it the most Popular wine of the 2012 campaign. With the strength of the brand, a good release price should make this an attractive purchase. Good effort. John Kolassa has priced his wine extremely competitively this year with the opening price representing a 34% reduction on the 2011 vintage, which was released at £315.00. As such, this offers excellent value in 2012. Just below Ch. Margaux and Ch. Palmer in the Margaux pecking order, big John Kolassa, director of this historic estate, has done a sterling job in 2012. This is a jazzy little number. An exuberant and open knit nose with redcurrant fruit and a racy floral edge combines with sappy cassis fruit and more redcurrant notes on the palate. 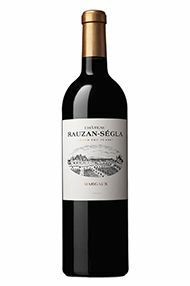 There is a lovely spice and creamy edge from the oak with enough flesh, roundness of fruit, balance and texture to suggest this will turn out very well in bottle. 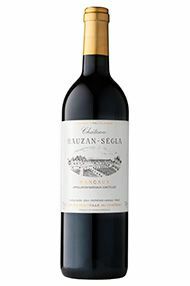 The 2012 Rauzan-Ségla is all about elegance. Just below Ch. Margaux and Ch. Palmer in the Margaux pecking order, this historic estate has created a stylish wine in 2014. Darker fruits dominate and the wine expresses a tension which suggests there is more to come in the future. Blackberries and a touch of cassis add real appeal. There is a generous core of velvety fruit and the most appropriate descriptor for the entire tasting experience is ‘charming’. There are creamy notes on the nose, it's really open and expressive. There is a roundness to the fruit too, with an enticing spicy edge on the finish. Good length and attractive, refreshing acidity dances in the mouth. A superb wine from this the leading 2em cru class Margaux property. Aromas of ripe black fruits, minerals and spices with hints of toasty new oak lead on to a refined palate displaying very good depth of fruit bolstered by silky smooth tannins. Approachable now but will be drinking at its best from 2006 - 2012. This leaps from the glass with expressive notes of blackcurrant, cherry, a little incense and pepper, violets and mint. The body is precise and concentrated, with a pleasing vitality giving way to a taut finesse. The overall sensation is one of sensual pleasure, finishing with a deft touch which is fast becoming the hallmark of winemaker Nicholas Audebert.